We've added more brand new records to our unique Catholic Heritage Archive and we're giving you a sneak peek at what's in store in the coming weeks. Church records from Baltimore along with additions to our New York collection, make this a bonanza week for anyone tracing Catholic ancestors in the United States. What's more, you won't find these latest releases anywhere else online. The latest archdiocese to make their records exclusively available through our Catholic Heritage Archive is also America's oldest - Baltimore. Each record includes an indexed transcript which will reveal vital genealogical information like parents' names, event year and age. The record images go a step further and could tell you your ancestor's godparents' names, ceremony attendees and even if they were a slave. When searching, use our parish list to establish the exact areas and years covered by this exciting new record collection. We've added over 787,000 more records to our Catholic baptisms from New York. The entire set now contains nearly two million entries and dates as far back as 1785. From the records you can discover your relative's birth and baptism date, parents' names and where the baptism took place. The records cover the New York City boroughs of Manhattan, The Bronx and Staten Island, as well as the state counties of Dutchess, Orange, Putnam, Rockland, Sullivan, Ulster, and Westchester. Uncover New York nuptials with over 490,000 new additions to this Catholic marriage collection. Over 200 parishes are covered in these records, which can reveal when and where the marriage took place, both spouses' names, occupations and residences. For privacy reasons, a 100-year cut-off rule applies for records in this collection. Our useful parish list will help you determine exact year coverage for each parish. 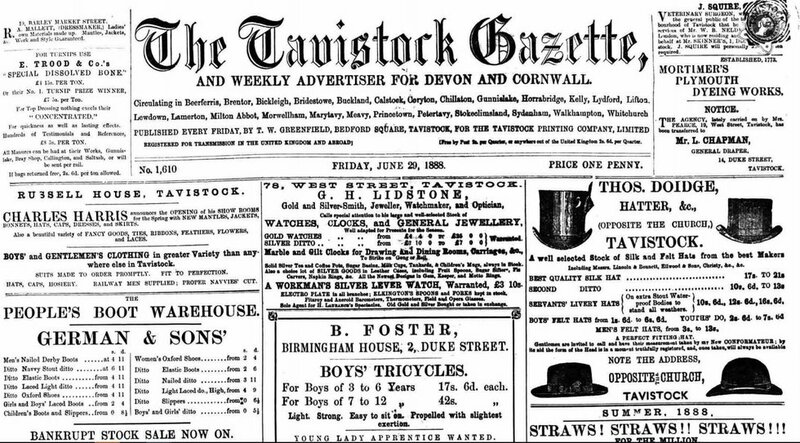 This week's newspaper releases bring the Tavistock Gazette to the site for the first time. Currently, we've got holdings the years 1860, 1862-1869, 1871-1873 and 1875-1888, allowing you step back in time to see what life was like in the South of England during Victorian times. If you've got Welsh family history, you are in for a treat in the coming weeks. Keep an eye out for a substantial update to our exclusive Wales Parish Records Collection. We're the only family history site that releases new records every week on Findmypast Friday, so check back regularly to see if there's something new to discover.